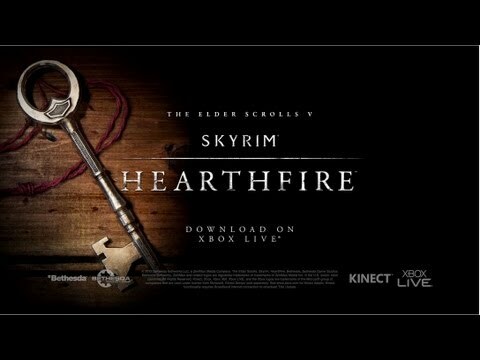 Bethesda has announced that the brand new expansion to The Elder Scrolls V: Skyrim entitled, Hearthfire. We have new screenshots and a trailer for the DLC after the jump! The Hearthfire expansion for The Elder Scrolls V: Skyrim is now available on Xbox Live for 400 Microsoft Points. The PlayStation 3 version is still up in the air and a PC release date is being anticipated. Hearthfire allows you to purchase land and build your own home from the ground up – from a simple one-room cottage to a sprawling compound complete with armory, alchemy laboratory, and more. Players can choose your land, customize your house, guard it from unwanted visitors, and turn your house into a home by adopting children.